Uncle Sam has sent one of the sternest messages possible to doctors nationwide that they must slash their dispensing of powerful prescription pain-killers. These drugs, for which doctors wrote 249 million prescriptions in 2013, have been blamed in 165,000 fatal overdoses between 1999 and 2014, more than 420,000 emergency room visits in 2013, and the addiction or abuse by almost 2 million Americans in 2012. Federal authorities now recommend that physicians tell patients first to take ibuprofen or aspirin for pain, and only then with great caution, to look at prescribing opioid medications with ingredients like hydrocodone (Vicodin) or oxycodone (Percocet and OxyContin). 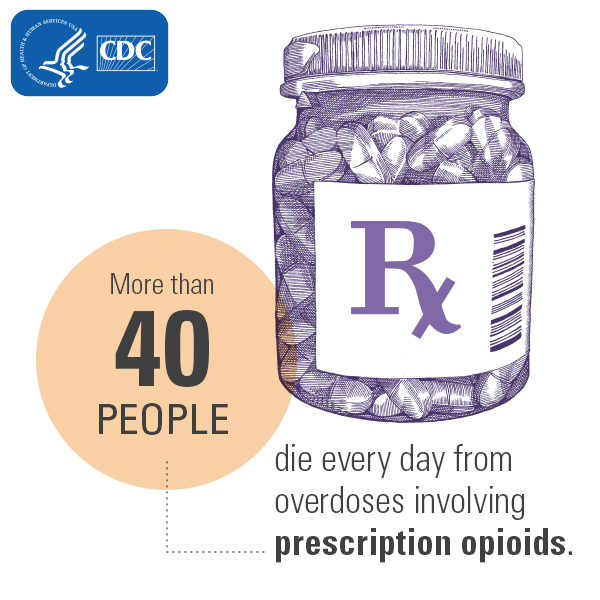 When opioid drugs are prescribed, they should not be given for short-term pain for more than three days, and only rarely longer than seven days. Doctors were urged to prescribe the lowest doses possible of the powerful painkillers. They were advised to cross-check in databases that exist in 39 states to see if patients had sought and were receiving multiple prescriptions for potent pain-killing drugs. MDs were urged to closely monitor patients prescribed the drugs. These recommendations, which and had been in the works for months and were issued by the Centers for Disease Control and Prevention, are voluntary. They do not apply if patients are receiving treatments for cancer, chronic pain, or if they are in palliative or end-of-life care. Physicians who specialize in treating pain criticized the guidelines. They said they could undercut efforts to get caregivers to overcome their historic reluctance to help patients with pain─what can be an agonizing and debilitating symptom or side-effect of many conditions and therapies. Besides abusing and overdosing on prescription painkillers, many addicts also have turned to heroin and other illegal narcotics, further fueling a substance abuse crisis, particularly in rural and suburban areas of the country. The presidential candidates, particularly on the GOP side, have told personal stories about familial challenges with prescription or illegal drug abuse. They have tried to de-stigmatize the issue, and called for greater governmental action. The legislation would establish grant programs to help state and local governments improve education and treatment for drug abuse, encourage medical providers to reduce unnecessary prescriptions, commit resources to help veterans deal with addiction, and give local law enforcement and mental health officials tools to lower the death rate from overdoses. A key provision would provide states with incentives to make naloxone, which can counteract overdoses, more widely available by offering liability protections to officials who distribute it. The measure, analysts noted, politically benefits senators up for re-election, allowing them to claim they are acting to combat a crisis. The measure’s fate is uncertain in the House. And the White House and Democrats in Congress have questioned whether the Senate’s anti-drug measure has sufficient funding to carry out all the promised steps.